Pipaluck Bears Proudly introduces Decade! Although April has created bears for 18 years Pipaluck Bears came into being 10 years ago exhibiting for the first time on 7th September 2007. 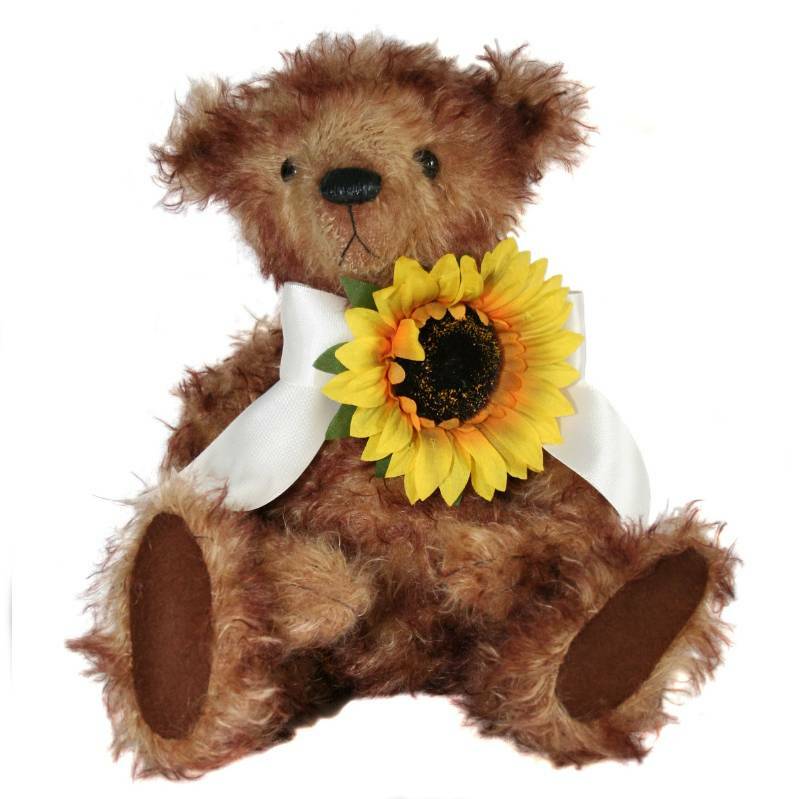 To celebrate 10 years of trading a very special bear has been born! 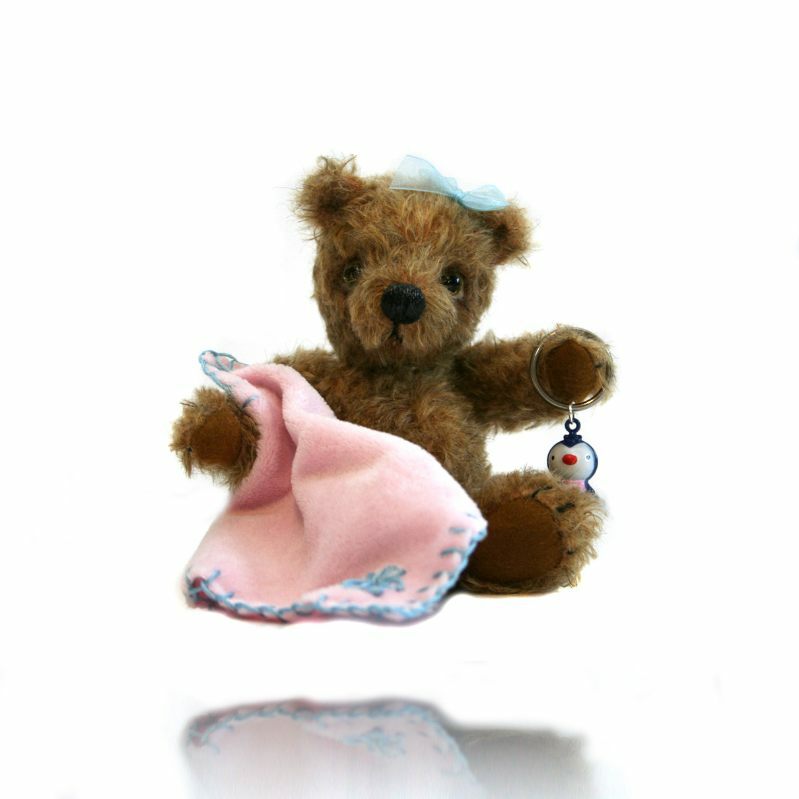 Decade has been made from our original Belly Bear Pattern scaled down to 10" size and made from a dense luxurious 10mm Alpaca. In the early days Pipaluck Bears were created from vibrant colourful mohair and Alpaca, to honour our vibrant past but continue in our current style a beautiful Herb Green Alpaca was selected. Belly Bears were inspired by the cropped tops and belly bars of the day, here you can see Decade with Orangina Belly one of the Bears that appears in our Logo, the only 3 bears that we have kept in the 10 years we have traded, they enjoyed their outing to Kensington for Hugglets Teddies 2017 on the 10th September, we hope everyone enjoyed meeting them. Decade has been created in the traditional style with cotter pin joints and gazes at you through shiny black glass eyes, his nose is hand sewn and he sports Pipaluck Bears signature 3 long sewn claws that enhance his gold woolfelt paw pads. Decade wears a beautiful green Swarovski Crystal in his belly. 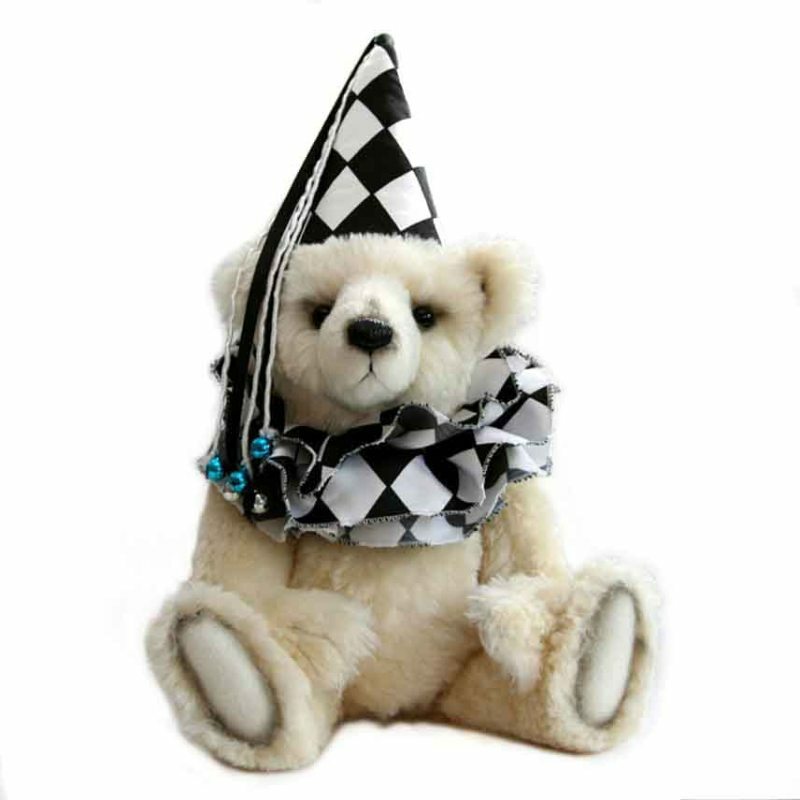 Decade is a VERY special Bear created for our 10th year of trading and is exceptional as he is a very small edition of only 10 bears. ONLY 10 WILL EVER BE MADE! SO DON'T MISS OUT! Decade comes to you with his Pipaluck Bears metal ear tag, two sewn in labels one Pipaluck Bears Label and one with his name and edition number. 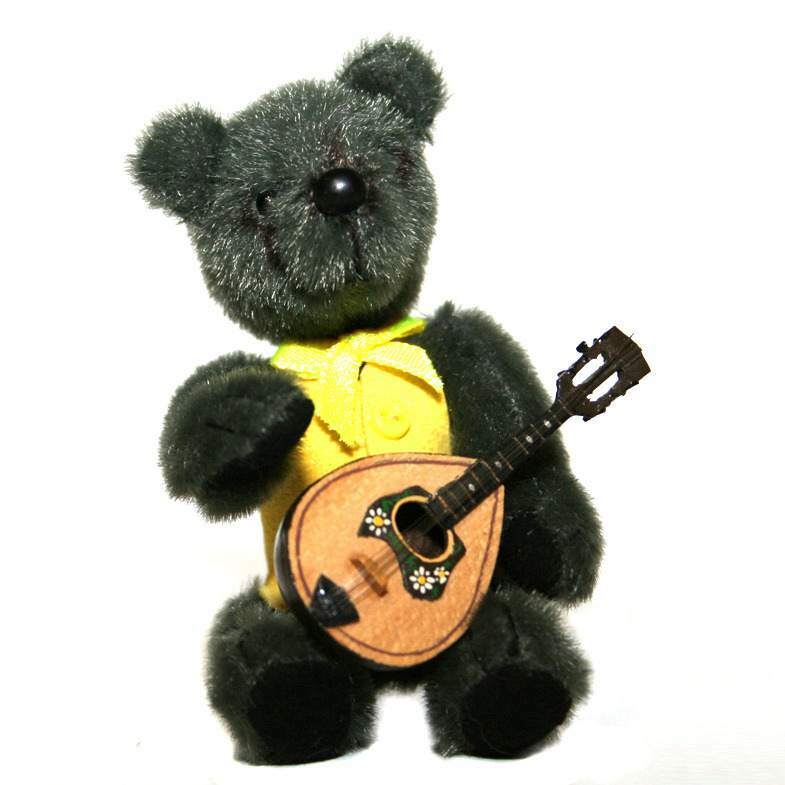 This special bear also comes with a booklet explaining his provenance, has his edition number and his makers signature. Order early to get the lower number! Pictured is no 1 in the edition he is the actual one you will receive! Please note! The price is for one bear - Decade Green Alpaca Anniversary Bear.